The breathtaking natural beauty of Banff National Park in Alberta, Canada, makes it a favorite travel destination with visitors from around the globe. There are three eco-regions that encompass the park's more than 2,500 square miles (Montane, Subalpine and Alpine.) The Lower Subalpine region makes up 27% of the terrain and is vegetated with dense forest of pine and fir. The lakes, wetlands and mountain rivers are home to hundreds of different species of fish, ducks and amphibians, and the Park's management is active in the preservation of the aquatic ecosystems. Banff is also home to more than 150 species of mammals and birds, from bears, elk and caribou to ermine, weasels, and otters. Visitors to the area can download a wildlife checklist to use during their visit from the official website for the park. When it comes to activities, Banff offers a wide variety for visitors of all levels of expertise. Parks Canada operates a total of 13 campgrounds within the park, which includes miles of trails for backpacking, biking, hiking, horseback riding, wildlife photography, snowshoeing and more. Weather forecasts, road and trail conditions, avalanche and general alerts for the parks are available online. 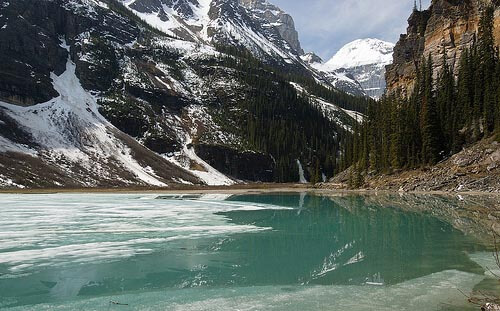 In addition to campgrounds, the Lake Louise and Banff National Park area has a fairly substantial selection of accommodations including hotels and motels, cabins and B&Bs. The towne of Banff offers a visitors information center and gift shop as well as grocery stores, gas stations, a hospital, banks and vehicle/equipment rentals. The village of Lake Louise has a postal outlet, medical clinic, laundromat, police substation, grocery store and gas stations. Last updated by Angela Fuller on 24 September, 2011 in Destinations. A list of Banff campgrounds that might be useful. 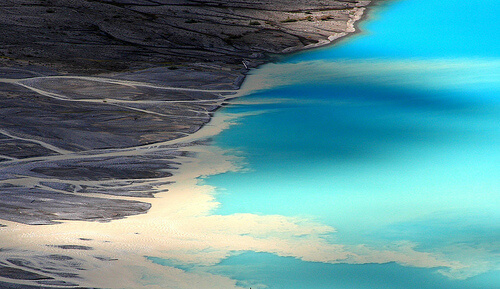 Wow - lovely breathtaking natural beauty of Banff National Park in Alberta.